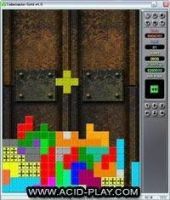 This is more of a tool than a game, though I imagine you need this software to play the various levels and scenarios you will find online. 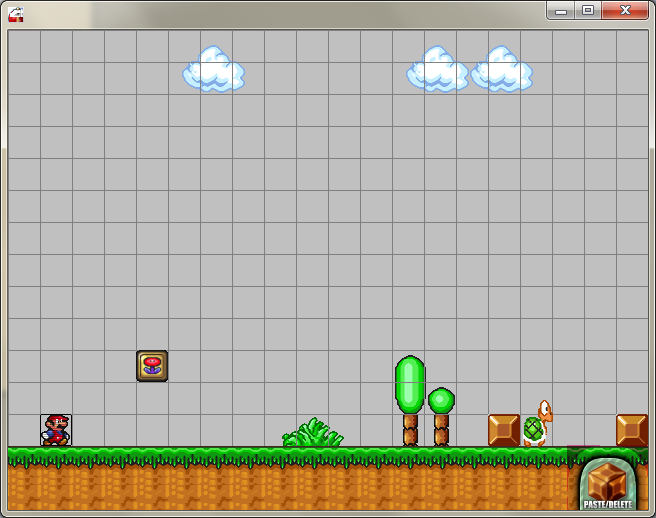 The tool is robust, with options on landscaping, background music, enemy and bonus placements, etc. It is quite impressive, but daunting to learn and the link in the game that's supposed to let you download and upload levels and scenarios seem to be dead. The help file opens a working link, but the site is in Polish. 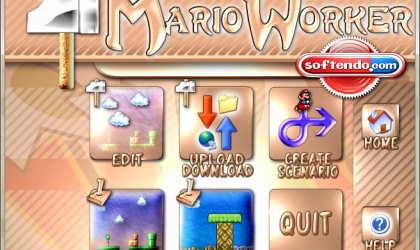 Ever wonder how all those Mario clones and custom Super Mario levels come from? 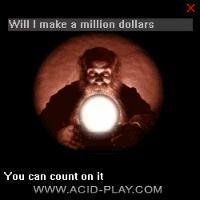 I can't say for sure, but I think this tool is somewhat responsible for a lot of them. 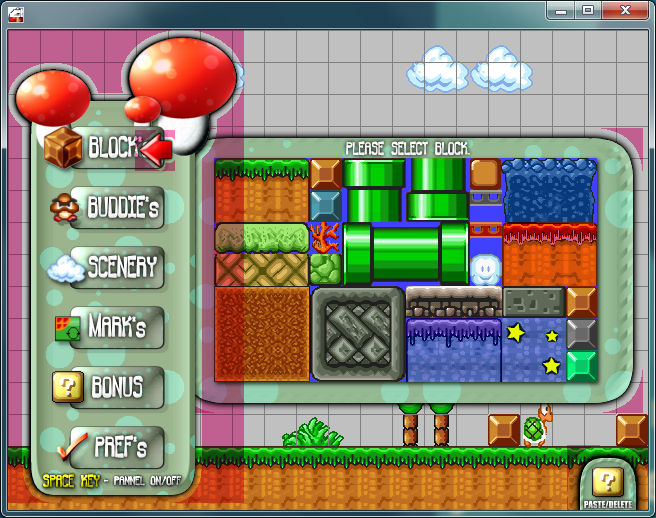 Mario Worker is both a Super Mario game level editor, "scenario" maker, and level player. 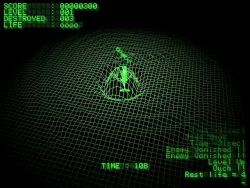 If you can find levels and scenarios to play, you can use this software to play it. Also, if you feel like the level you just found needs a little more work or could use more challenges, you can just load up the built-in editor and modify it to your heart's desire. It does come with a couple of levels out-of-the-box that you can play around with for a while but they're very short. They're pretty much there to get your feet wet in playing and editing levels. 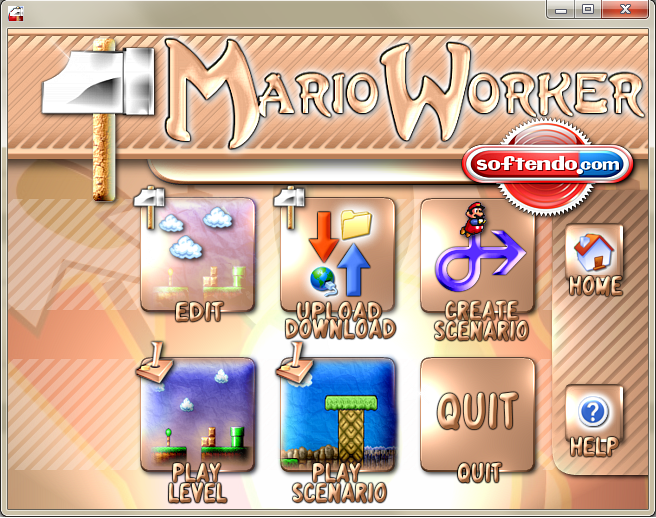 The levels were a little tough at first as I was not used to Mario's feet being so frictionless. The sound and graphics are yanked right out of Mario games, with very little change to it, though that could just be my speakers. The audio is a bit scratchy and does come across clearly. Unfortunately, the button that says "Uploads/Downloads" opens the browser to a dead link. A quick Google search did not produce downloadable levels, though you may have better luck that me, depending on your Google-Fu. Where the software shines really, and this pretty much is responsible for its rating, is the editing tools made available to you. 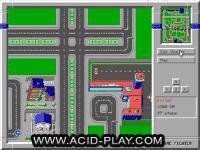 It has a lot of options, both familiar to fans and new additions as well, for you to create a Super Mario level from scratch or edit existing levels you may find online. You have a full range of choices when it comes to landscaping, filling levels with obstacles, both physical and combative, minions are available from the basic green Koopas to pretty much almost anything ever seen in Mario games. You can have levels underwater, you can make levels high in the sky. Your imagination is pretty much the only limit you will come across, so long as you get the hang of the tool. The help file link opens your browser to a site that is entirely in Polish so I can only assume it does provide some help, if you understand Polish or can work with the translation from Google Translate. There is no offline how-to that comes with it so you'll have to feel and muddle your way through it for a while before figuring everything out, I imagine. Of course, the standard "Your Mileage May Vary" disclaimer applies.